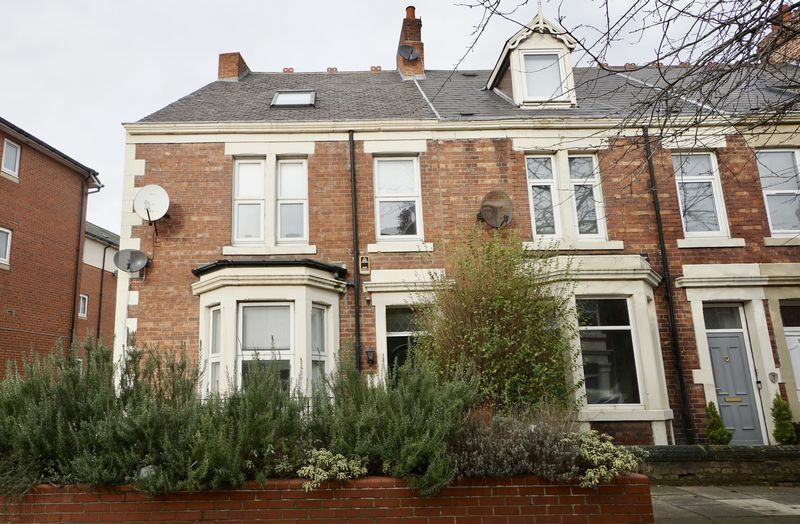 A spacious end terraced house situated in a popular and convenient part of Heaton close to all local amenities including shops, good schools, restaurants and cafes on both Heaton Road and Chillingham Road and easy access into Newcastle City Centre. The property has been rented for many years, therefore, has been altered internally and updating and re-decoration is required throughout which has been reflected in the asking price. Benefits include gas central heating and UPVC double glazing. The accommodation briefly comprises: entrance lobby and hallway, lounge to the front (has been altered to create a bedroom with the creation of a bathroom behind) separate dining room, kitchen, to the first floor there is a shower room, separate W.C and three bedrooms and to the second floor two further bedrooms. Externally there is a small town garden to the front with railings and an unusual shaped yard to the rear. An early viewing is advised to appreciate the potential on offer. Available for sale with no upper chain. Dado rail, ceiling rose, coving. White suite comprising panelled bath with shower over, tiled walls to bath and shower area, pedestal wash basin, low level W.C., central heating radiator. Wall mounted combination boiler, range of basic fitted wall and base units with dark grey laminated work surfaces, inset stainless steel sink and single draining unit with mixer tap, built in stainless steel electric oven, hob and chimney style extractor hood, part tiled walls, plumbed for automatic washing machine, central heating radiator, door leading into rear yard. Spindle staircase leading to first floor. Walk in double screened shower enclosure, pedestal wash basin, low level W.C., PVC panelled walls & ceiling, extractor fan. White low level W.C., wash basin, tiled walls and floor. Small town garden area to the front with railings. Unusual shaped yard to the rear with gate to the side.